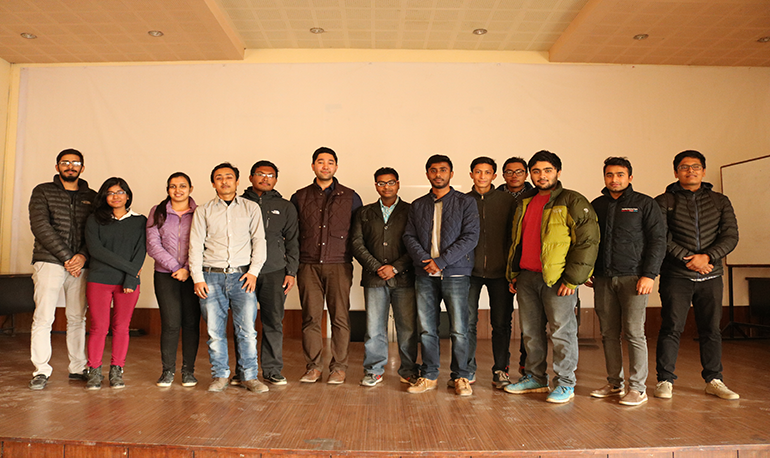 KCM IT Club organized a talk show on 21st December 2016,with Mr.Amun Thapa, CEO of “Sastodeal” who highlted on the issue ‘How to start a start up?’. Sastodeal is an online store which has gain much popularity through its services. Mr. Amun shared his insights and principles for establishing an online venture like Sastodeal. He shared his experiences and opportunities that he had come across during the start and operation of this venture. In this session he mostly encouraged the student on how to come up with a business idea and deal with the issue that comes along the way while establishing a new business. He also shared numerous schemes from raising capitals to selling the product. The talk show was followed by an interaction session between Mr. Amun Thapa and our students of Kathmandu College of Management. The students were able to get a clear vision about the aspects that should be considered during the start of such venture and along the long journey of the business.